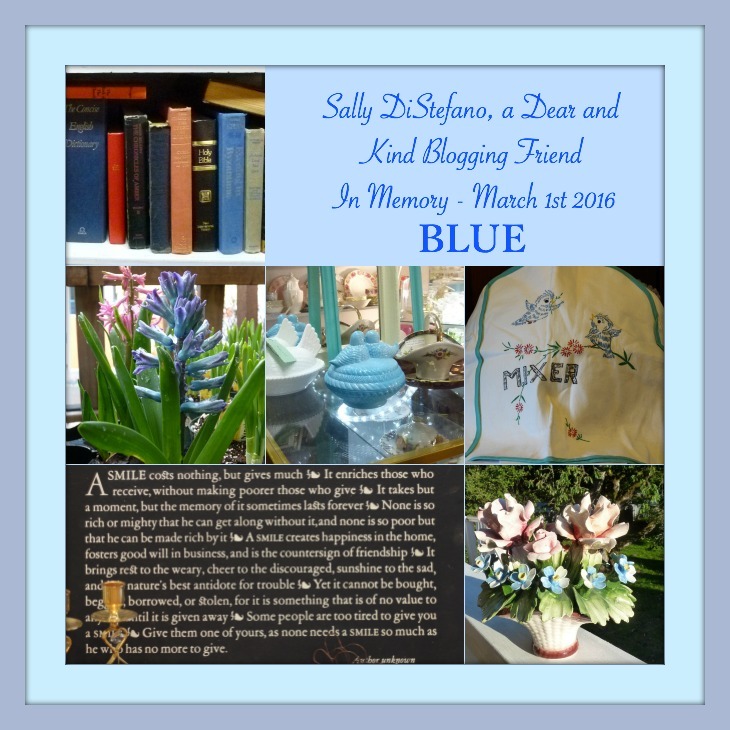 I am joining in with Debbie Dabble for a bloggers tribute and goodbye to Sally D'Estefano. There are many comments on Sally's last post to her family from her blogging friends. And Sally left her friends a post to say goodbye, what a wonderful woman. I was very saddened when I heard that Sally of Smiling Sally's Blue Monday died suddenly March 1st. Sally had noted in her last post on February 29th that she was quite unwell. Sally hosted her last Blue Monday party on February 29th and commented back (as she always did) to everyone who linked up with her, on their blogs. What a dear and lovely and kind woman. Sally was a blogger who taught blogging manners too, when you link up with a party it is polite to comment to the hostess. 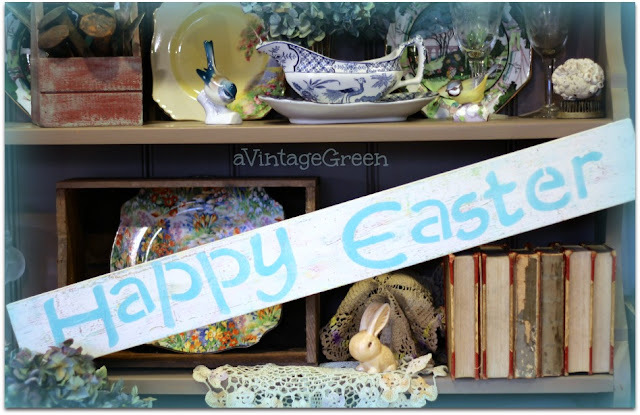 I would direct you to Anne's Phamilby Blog: A Tribute to a very BLUE-ti-ful Lady to read her tribute to Sally D'Estefano and to Debbie of Debbie Dabble and Susan of Ash Tree Cottage and BJ of BJ's Sweet Nothings. I know that I always looked for blue to include in my Monday Link up with Smiling Sally's Blue Monday. I looked forward to seeing what Sally had found 'in blue' each week as well as her snippets about her lovely family. Thank you Sally. Love and prayers for Sally and her wonderful Johnny and her wonderful children and grandchildren and her many friends. Sally was such a positive person, she will be missed. Thanks so much for this wonderful tribute to our Sally!! I am linking it up to mine. Happy Blue Monday in honor of our Sally!! She would have been so proud of all the tributes today. Such a loving tribute for Smiling Sally.